In the aftermath of Hurricane Florence, farmers across North Carolina are still struggling to recover from $1.1 billion in losses, more than double caused by Hurricane Matthew in 2016. Significant damages, some beyond repair, were felt in our own community of farmers — the independent family-owned businesses that cultivate fresh fruits, vegetables, meats and other delicious products delivered weekly to Produce Box members. Millions of dollars in state-issued relief packages are set aside to repair damages to housing and schools, government vehicles, roads and other infrastructure. But many independent farmers have been left on the losing end of state support. This has created a sense of uncertainty for farmers. Many relief budgets are still pending approval by lawmakers who have been hesitant to provide financial support to farmers directly. In the meantime, farmers are looking to outside resources for assistance. Our members answered the call last month, rallying together to raise more than $12,000 in funds within the short span of a week. The donation program aimed to help our network of farmers restore the health of their fields, crops, livestock, equipment and facilities. 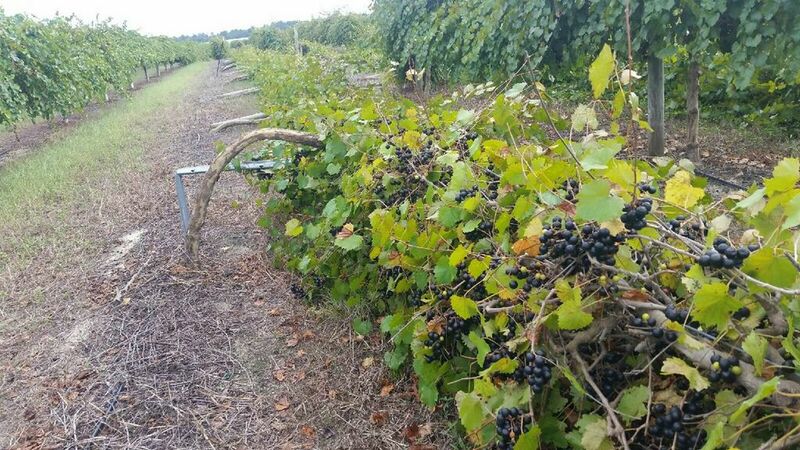 The farmers are using the funding for relief purposes ranging from field cleanup and tree removal to roof repair to supplementing bee forage to replacing grapevine posts. Now, nearly a month later, the farmers who received grants in the program are starting to get back on track, thanks to support from our members. The farmers hail from counties spanning central to coastal North Carolina. We followed up with them to get an update on how they’ve spent the money and how the recovery is going. Herbie Cottle of Cottle Organics in Rose Hill says the money is set to go towards rebuilding the farm’s shelter after Hurricane Florence blew off the roof. He spent the past few months re-organizing the boxes and equipment that were previously stored in the shelter. He moved the items to an 18-wheeler truck the farm usually uses as a cooler. Cottle says this is a temporary fix until the shelter is rebuilt, pending construction contracts. Cottle added that he’s already starting to harvest and replant some of the crops wiped out by the storm. Chris Wise of Southern Fox Vineyard in Dunn says the farm’s grapevines — most of which are as old as 12 years — took a major hit by the storm. Around 750 posts that support the vines succumbed to extensive damage. Getting back on track involves replacing the ruined posts and wires, and repairing the irrigation system as well. “If we can rejuvenate most of the plants out there and replace our posts, then we’re hoping they’ll be able to come back out in the Spring,” Wise said. This requires significant labor, plus the wait time for leaves to foliate through the current seasonal change. Wise says the upcoming below-freezing weather conditions will help lift the weight of the fallen leaves so he can begin the process of replacing broken posts and reattaching the vines in standing position. But in the meantime, the money from the Produce Box members are beneficial in helping Wise to reevaluate the plants and salvage as many as possible. Gary Fuller of Fuller Farms in Oxford says the donations supported the effort of cleaning up the farm’s crop and fields, preparing feed for next year and recovering supplies to start up the business again to make up for the lack of revenue. Fuller says The Produce Box’s contributions are key to this recovery. The process required significant labor to clean up the fields, remove the mulch and replace it with new material. “This money is very helpful to get us to prepare for next year and keep [the business] going,” Fuller said. Barry Harris of Wilmington’s Silver Spoon Apiaries says that the major losses his business suffered includes Fall forage for the bees, beeyard bare fences, trees and infrastructure — all of which were destroyed in the hurricane. One of the bee farms was at a total loss, sinking to nine feet underwater after the storm. Harris says the Produce Box’s donation money allows Silver Spoon to offset the direct cost of tree removal and buy supplemental feed for the bees to consume this season. Jedd Koehn of Grifton-based Coastal Plains Produce says his farm needed to run generators for a week during the hurricane. Staff then spent the following weeks throwing out and cleaning the products affected by the storm. Both expenses for power and payroll were enough to stall sales for the time being, compounding existing losses to the damaged products. But with the support of the Produce Box, the farm’s operations are now restored, Koehn says.